We did it! After our very humble beginnings in January, 2006, we have spent ten full years of turning our passion into a career we only thought possible in our dreams. In an industry with increasing pressure to outsource production overseas to churn out trendy, cheap pieces, we have stayed true to ourselves to continue to design quality pieces, right here in Canada. It remains ever important to us that our collections are unique, European inspired designs made with high quality materials for real women. Women, like all of you, who have been our fans and cheerleaders since day one, and without whom, we would certainly not be here today. You've watched us grow from an in-house studio to our store location in Downtown St. Catharines. You've lifted our spirits when we have been down, while patting our store dog greeters, Ozzy and now Charlie. You've visited us at the shows we participate in and you've provided feedback on our collections so that we can always continue to improve. You've made it possible for this mom and daughter team to live out our dream every day and passionately pursue bigger and better things for this small business. A simple "Thank You" will never be enough to express our gratitude, but we hope to let you know how much your support is appreciated by continuing to do what we do the best way we know how, to make you look and feel your best. 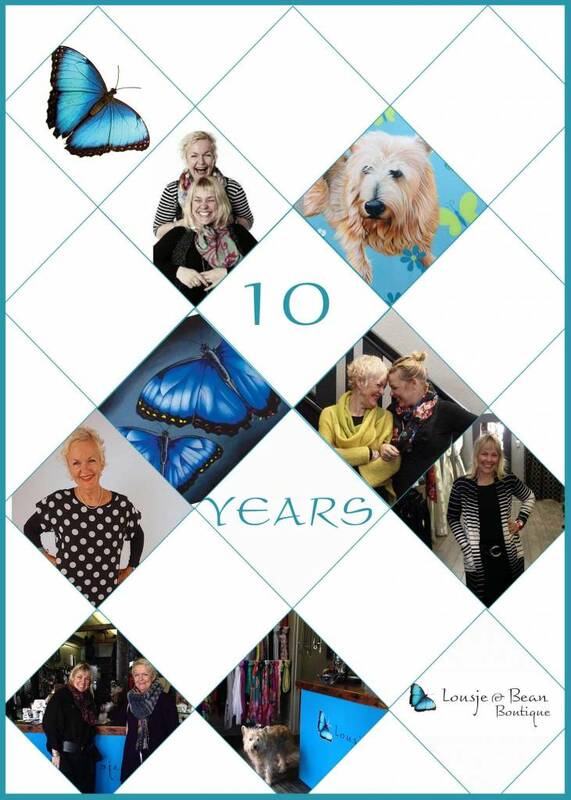 Here's to ten amazing years and a trip down memory lane!